Across the city, a recent study found that 1 in 4 students change schools every year. In elementary schools, the rate is 1 in 3. And many students make those moves during the school year. Ben Pogodzinski and Sarah Winchell Lenhoff, two Wayne State University professors who have spent the last year analyzing data on student transience in Detroit, found that only about 40 percent of children who changed schools between the 2014-15 and 2015-16 academic years had changed their address to a different ZIP code. It’s easy to switch schools in Detroit because parents here enjoy far more school options than their peers in other parts of the country. “When it comes down to it, I’m looking out for the best interest of my kids,” said Lyjuan Smith, who had two children at Detroit’s Bethune Elementary-Middle School last year but planned to move them to a charter school this year because she thought they would get a better education there. Some research suggests that moving from low-performing school to a higher-performing school can benefit students. But in Detroit, very few schools are considered high performing. As stated many of the poor live in a life of constant chaos, often self inflicted and not recognized as anything but the norm. If stated I didn't notice but as with most things a relatively small percentage of the population is likely responsible for a super-sized percentage of, in this case, the moves. Second we are looking at kids who are likely already struggling academically and changing the school isn't the solution therefore doesn't solve the issue. The biggest driver of this problem i'd suggest is our insistence to prioritize egalitarian objectives over academic achievement. If kids had to qualify to gain admittance to a given school they desired to attend the atmosphere would be totally different. In our current approach they all sink. From the article above: "The main Detroit district has the lowest test scores in the nation, and charter schools in Detroit are not much better. " From the link supplied in that sentence presumably to back up the evidence: "[Detroit] charter schools provide essential examples of school-level and system-level commitments to quality that can serve as models to other communities." It notes that the majority of students see significantly improved educational results after going from district schools to charters with almost none doing worse after switching. Hi, Jarrett. Thanks for reading. 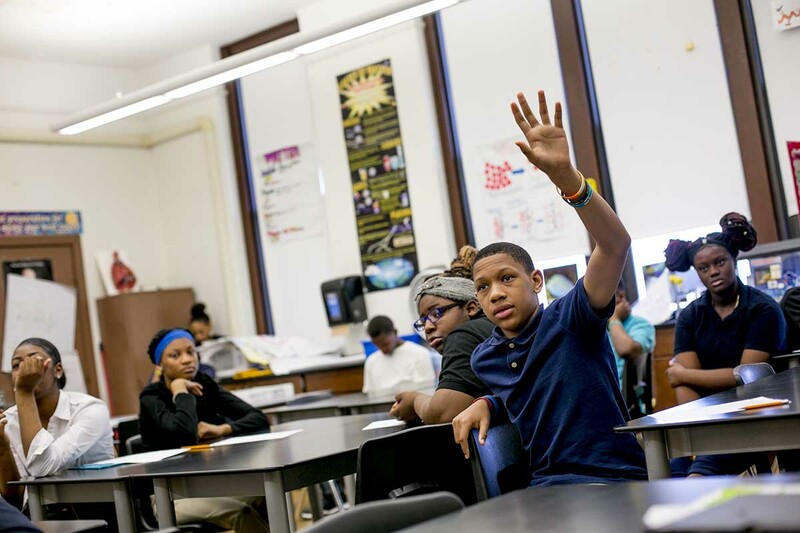 The Wayne State University research shows that Detroit charters experience the same level of churn, student mobility and enrollment instability as district schools. If charters were significantly better, the enrollment would be stable. However, on average, charters perform slightly better than district schools with a majority of charters testing in the bottom quarter of all schools in the state.